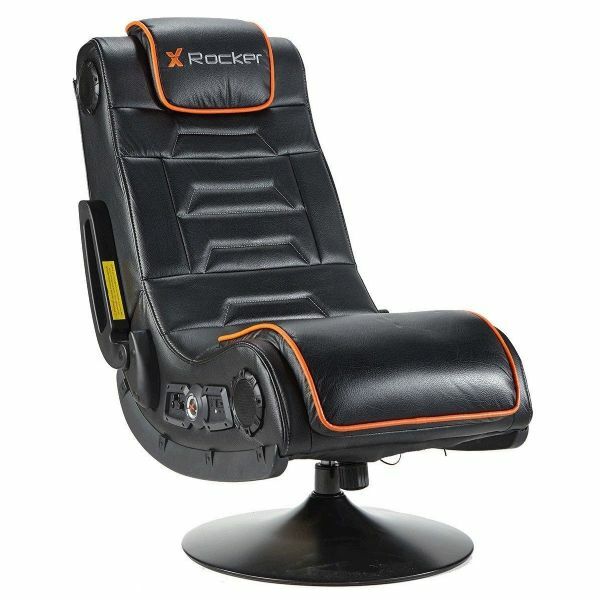 The X Rocker Afterburner is the ultimate gaming chair for consoles and audio devices. Featuring unrivalled connectivity, the Afterburner allows for wireless connection to all major gaming consoles via the DAC transmitter. It features 4.1 audio for an immersive experience and dedicated vibration motors that make you feel part of the game. 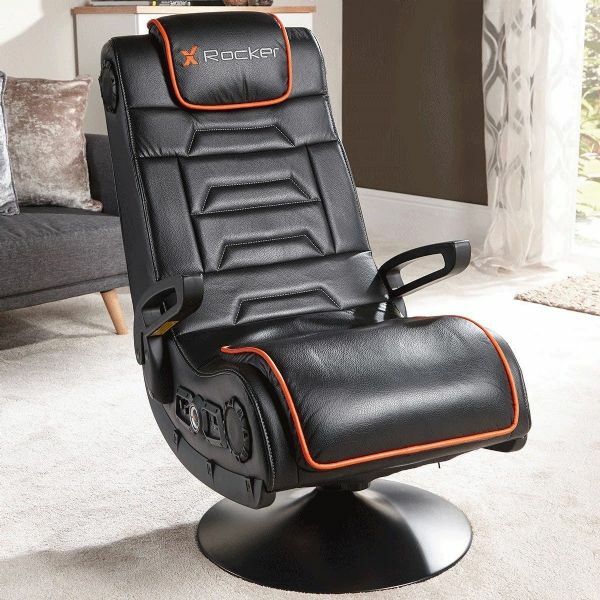 The chair is finished with a rich faux leather design, styled with orange highlights and ergonomically designed adjustable arm rests. Conveniently foldable, it is portable and can be stored easily. 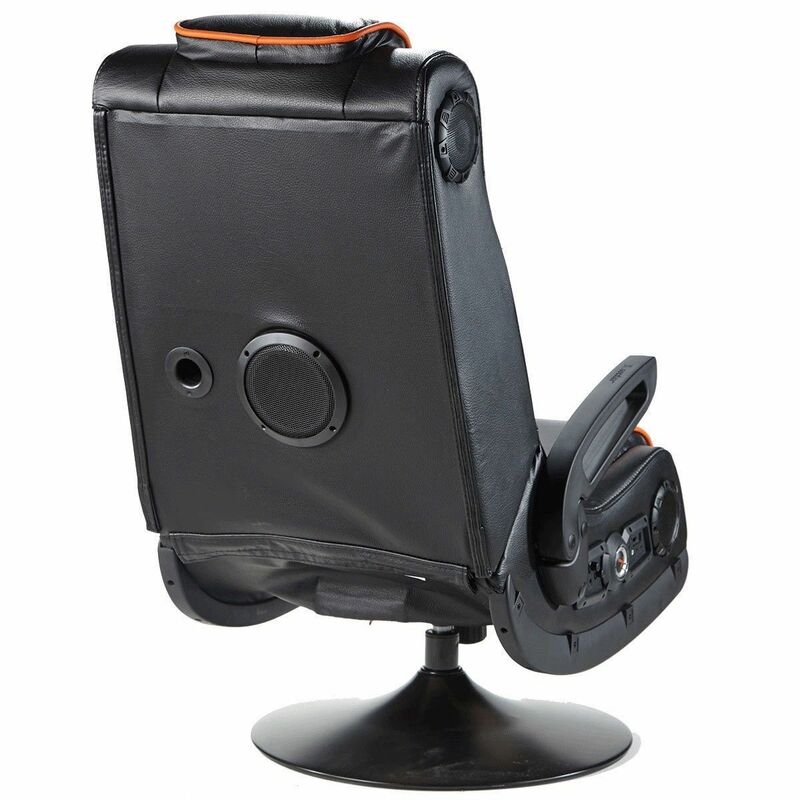 The chair is compatible with PS2TM, PS3TM, PS4TM, PSVitaTM, WillTM, WiiUTM, Xbox 360TM, Xbox OneTM, GameCubeTM, PSPTM, Nintendo DSTM, Nintendo SwitchTM, iPodTM, iPhoneTM, iPadTM, MP3 players, TV, VCR, DVD, CD and most gaming devices via included RCA cables*. * Bluetooth compatibility is subject to individual device specifications. Please check the instructions of the intended tablet, console or other device to make sure that the device can transmit a Bluetooth audio signal.